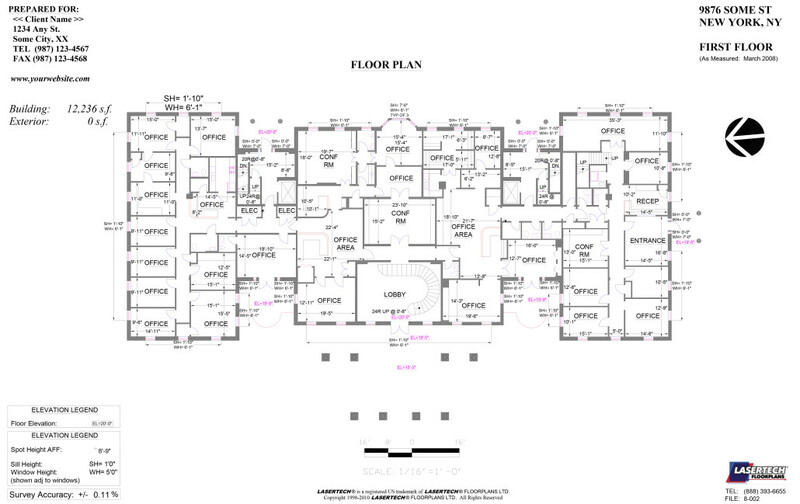 The foundation of our service is the provision of what’s commonly called an “As-Built” Floorplan. This differs from an architect’s plan, which is typically a “Design” plan, and is intended to represent what currently exists, as opposed to what is proposed to be built as designed by the architect. There is only 1 way to produce an accurate “as-built”, and that is by doing a detailed survey or measurement of the structure, carefully documenting the layout and configuration of all walls, doors, windows, stairwells and elevator shafts, plumbing fixtures, structural columns, ventilation shafts, and any other pertinent features. 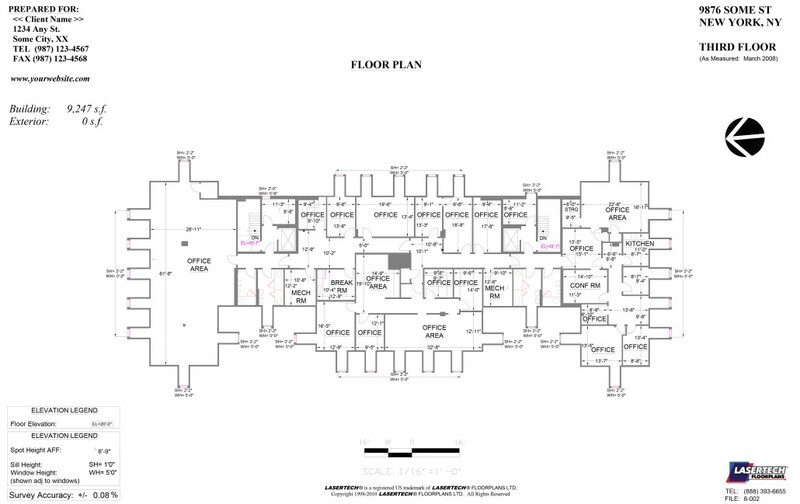 But how we create the “As-Built” is what sets LASERTECH® Floorplans apart, in fact what sets a new industry standard for this service. With the technology and methodology we have developed, we can measure most any building, anywhere, faster and with unparalleled (and fully guaranteed!) accuracy. 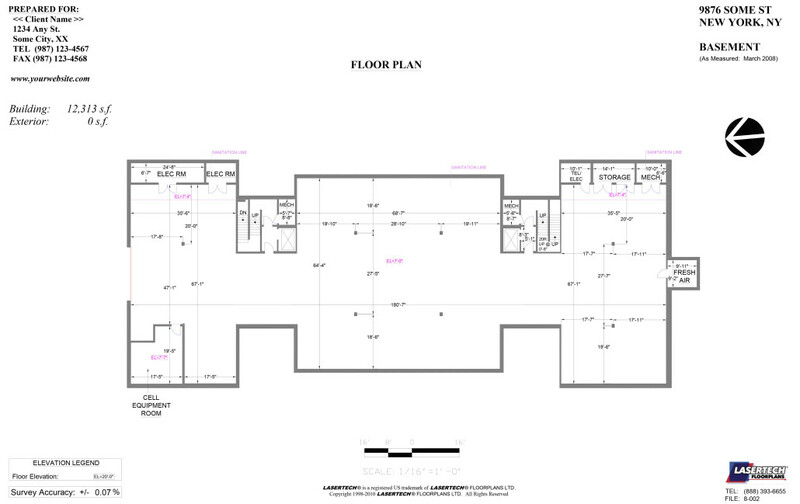 CAD (DWG) file shows all walls (with actual as-measured thickness), doors, windows (including sills, mullions, glass), elevators, stairwells/treads, ramps, columns, plumbing fixtures and built-in millwork. Paper-space layouts prepared as well, typically 1/8″ scale tabloid size, or as required. Useful as proofs, supplied in PDF format. Photo keymap PDF prepared as well showing location/direction of all digital photos included. 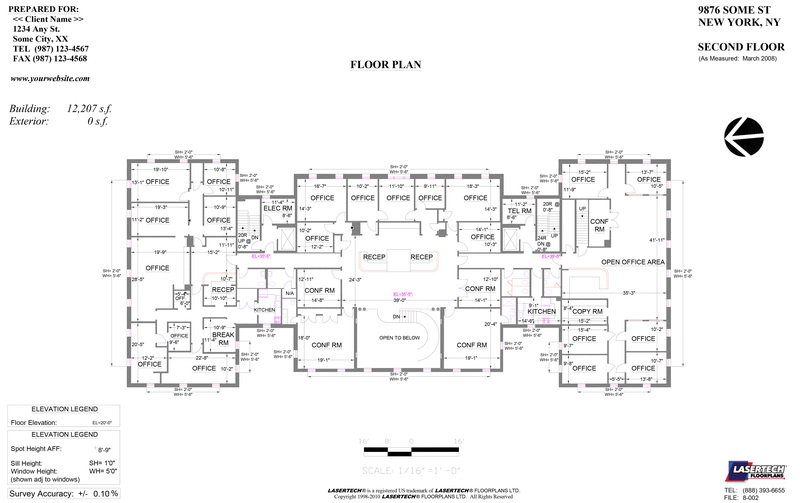 All files (DWGs (AutoCAD, any version), PDFs, digital photos) delivered electronically via our LASERTECH® Web Portal, for subsequent design work. Graphic files always included as well, typically PDF, but TIFF, JPG also available. Enlargement plots optional, to any scale.